Love the look of a black and white bathroom? It’s not surprising. No matter what style it is, a black and white bathroom has timeless appeal. This makes it a guaranteed winner if you are looking for a color scheme to update your bathroom design. In the bathroom design above a simple checkerboard floor pattern creates the black and white look. To give a floor pattern a dynamic look place it on a 45-degree angle. This creates a sense of movement and flow in a room. You can create a black and white bathroom floor pattern using ceramic, stone or linoleum tiles. When you use a pattern or a dark color on the floor, in small spaces such as bathrooms, you want to keep the walls light. This creates visual balance and keeps the room from feeling smaller. However, this doesn’t mean the walls should be boring. In the design above, the walls are white, but the combination of beadboard and subway tile add both texture and interest. Beadboard and subway tile are a perfect pairing that always looks good together. A black and white color scheme always gives a bathroom a sense of elegance and drama, and a freestanding tub works in perfect combination with this. In the design above, the tub is placed on an angle to soften the corner and go with the tile pattern adding to the sense of flow. The feet of the clawfoot tub are painted black to compliment the color scheme. A black seat cover on the loo compliments the look and adds an additional touch of detail. For the shower, a DIY shower enclosure using a set of divided light windows completes the traditional look of this black and white bathroom and adds a fun, eclectic detail. To add an eclectic touch to your bathroom design, add an interesting vintage mirror, chair or dresser and paint it black to compliment your color scheme. 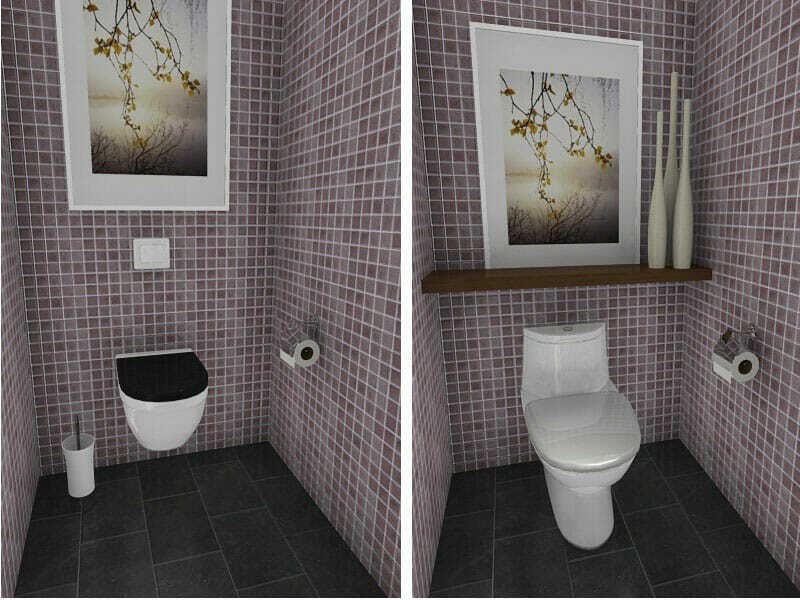 This black and white bathroom design was created using RoomSketcher Home Designer. 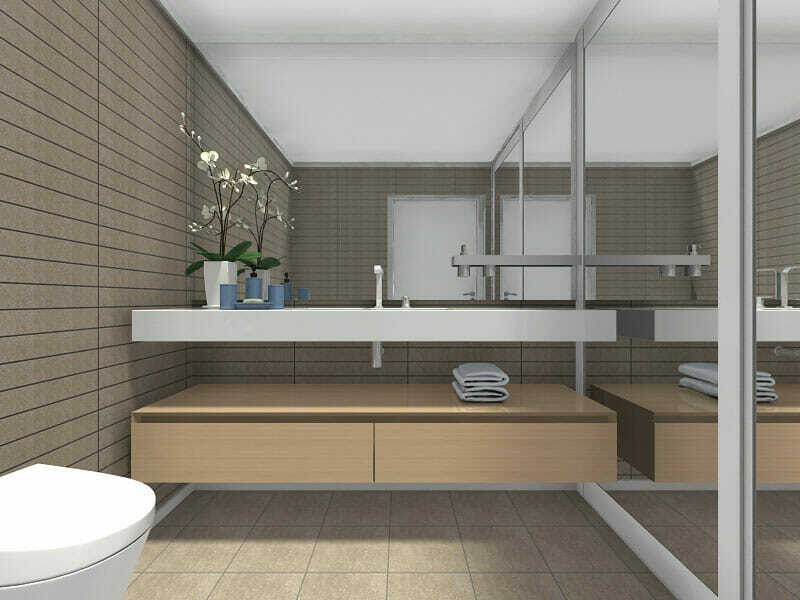 RoomSketcher Home Designer is a fantastic and easy-to-use floor plan and home design software that you can use to design a bathroom online. Simply draw your floor plan, furnish and decorate it, and see your design in 3D – it’s that easy!